There are still wild places in the world, unknown patches of woods and unexplored landscapes. You'll never find the secrets if you have to stay close to home. 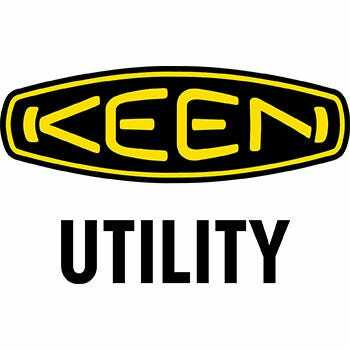 KEEN Utility men's 1007972 Flint steel toe hiking boots take such good care of your feet, there's no telli ... (see full details) (see specifications) #KEN1007972. There are still wild places in the world, unknown patches of woods and unexplored landscapes. You'll never find the secrets if you have to stay close to home. KEEN Utility men's 1007972 Flint steel toe hiking boots take such good care of your feet, there's no telling how long you can keep adventuring. The uppers on this footwear are styled in a two-tone design of slate black and burnt henna orange. They're made with waterproof Nubuck leather, material that has the strength and wear-resistance of full-grain. Nubuck also has the touchable softness of the suede leather, so you get the best of both in these shoes. In addition, the left and right toes are designed in a roomy asymmetrical design. The steel toes meet ASTM F2412-11 safety standards for impact- and compression-resistance. Inside these men's boots is moisture-wicking fabric linings that help keep your feet drier and less sweaty. The footbeds are styled in a contouring, Metatomical design in dual-density construction. That means you get two layers of airy EVA foam comfort in each KEEN Utility boot. Arch support is integrated into the removable footbeds, which can be slipped right out for cleaning. They're comfortable and tough against the weather, but these mid-cut water-resistant boots are ready to work. These KEEN Utility boots are safe and durable enough for even construction job sites, and the leather uppers resist stains, as well as water. Designed with the KEEN.Protect construction, this footwear is manufactured with wrap-up soles that provide toe protection. Those soles are oil-resistant, non-marking rubber that withstands corrosion from chemicals. Slip-resistance keeps the tread steady. The soles are finished with contoured heel locks to keep steps stable. They're also rated for electrical hazard safety, meeting F2413-11 I/75 C/75 standards, absorbing electricity to keep you safer. These KEEN Utility 1007972 Flint steel toe hikers help you explore any trail, or work your way through any tough job. So order your pair from the Working Person's Store today. Most comfortable boots I've owned. Tread lasted about 9-10 months before worn out/holes in sole. Only complaint is that they are not even close to being waterproof. The mesh on the sides simply lets water in. After 3 months, the black and brown rubber on the sole started to come apart. have to put rubber glue on to hold them together. For the price, I expected better quality. My boots are very comfortable. Mentioned in a previous review the soles started to separate. I work in agriculture and I'm outside in all conditions, this particular style is not waterproof! Was my experience working on a rainy day ending up with wet socks! 2 out of 5 people found this product review helpful. Going on my 6th pair of Keen's and I honestly have to say, these are one of the most comfortable boots I have ever owned. They just keep getting more comfortable the more you wear them, and sometimes we put in 12-14 hour days. They need zero break-in time. Just open the box, lace them up and your feet will thank you. These Flints offer great ankle support as well and toe protection. Since they are also waterproof, I don't need anything else. Steel toe...waterproof...ankle support....form-fitting foot bed...equals one tough boot. We highly recommend these or any Keen shoes or boots. I've had these Keen hiking boots going on two years, they are very comfortable, cool in Virginia humid summer and warm in cold. HOWEVER, the soul has started to come off, I'm torn, if I should get another pair. The shoes feel very good but I don't think they should be coming apart this soon, I have several other pairs of work boots much older that are fine. Also, I am constantly interchanging, even throughout the same week. I started doing this while in the Army, this give the shoes time to recover and helps them last longer, kin of like rotating tires on our cars. KEEN Utility 1007972 Men's Flint Hiking Boots is being added to your cart.